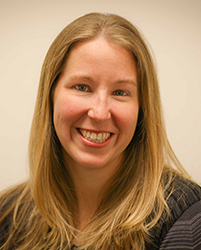 Rebecca Stone is a senior researcher and literacy specialist at AIR. Previously she worked as a multilingual education consultant developing curriculum, designing and implementing teacher professional development programs, and designing reading programs in languages that children speak and understand best. Dr. Stone has worked in international education for the last nine years as well as conducting research and evaluations in Benin, Brazil, Cambodia, Egypt, Ethiopia, Mali, Niger, Senegal, the Gambia, and the Philippines. Her most recent research examines the effects of participatory teacher training on bilingual teacher attitudes and practices in a marginalized region of the Philippines. Her research interests include mother tongue literacy instruction in primary grades and teacher professional development.